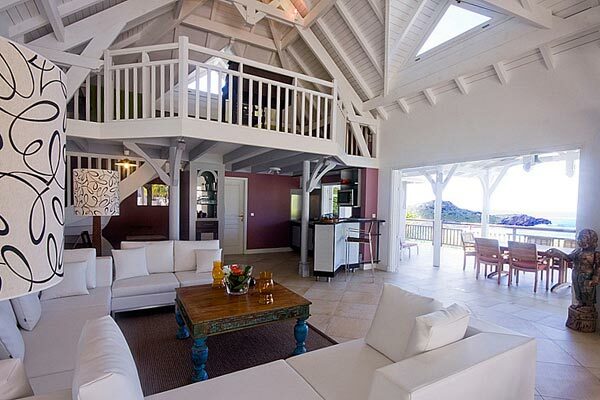 Vacation to the Hills of St. Barths: Two Private Villas to Accommodate the Whole Family! When planning a family vacation to St. Barths, many travelers decide to rent 2 or more villas in the same neighborhood for added space and privacy. Located in close proximity, Villas WV AJL and WV APL are the perfect, spacious vacation spots for the whole family in St. Barths. Rent the two villas together for a total of six bedrooms (4 bedrooms in WV AJL and 2 bedrooms in WV APL.) The 4th bedroom in Villa WV AJL is a separate mini suite, perfect for a nanny. Lush, green trees surround the two villas in the Domaine du Lagon community in Petit Cul de Sac, making them extremely private and peaceful. Enjoy gorgeous ocean views and soft breezes from both villas. Villa WV APL offers two king beds in each bedroom, so rent this villa with another couple or have it all to yourself with your loved one. Villa WV APL is a great option for the kids or other relatives to spend quality time together. Relax by one of the pools each villa has or take a short walk to Grand Cul de Sac beach with the family. The waters are calm enough for the kids and perfect for an afternoon dip. 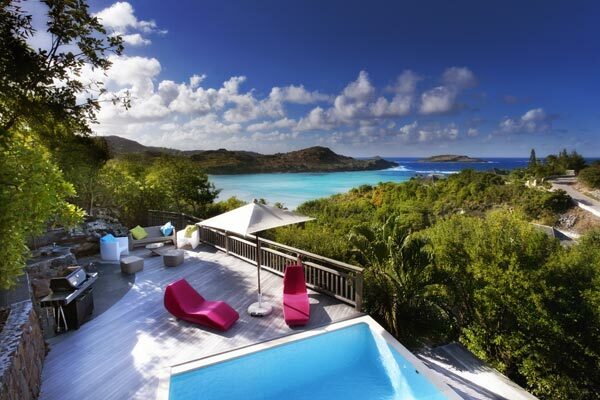 These villas are a sure bet for active families looking to enjoy the more adventurous side of St. Barths. Guests of WV APL and WV AJL enjoy access to the Domaine du Lagon tennis courts and have free access to the Form Fitness gym on the island. Venture out into the bright blue ocean with the kayak and snorkel equipment that is also available for use! That’s not all! Each morning, the villa manager brings a fresh continental breakfast to all the guests. You can call him at anytime of the day and he will provide anything you need. From picking up fresh fish at the fish market in Gustavia to bringing chaise lounges to the beach, he is happy to fill any request. Rent Villas WV AJL and WV APL for a wonderful, private excursion for the whole family. If traveling to these villas before December 14th, enjoy two complimentary 60 minute Ligne St. Barth Massage sessions in the privacy of your villa! Villas WV AJL and WV APL have so many wonderful options that your family does not want to miss out on!